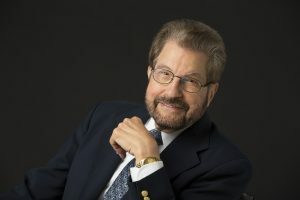 Author Robert Magarian (BA 56, BSPh 60, PhD 66) has written three biological crime thrillers and is working on a fourth. His latest book, “You’ll Never See Me Again, A Crime to Remember,” pulls from his background in medicinal chemistry to tell the story of a seemingly unsolvable forensics investigation. 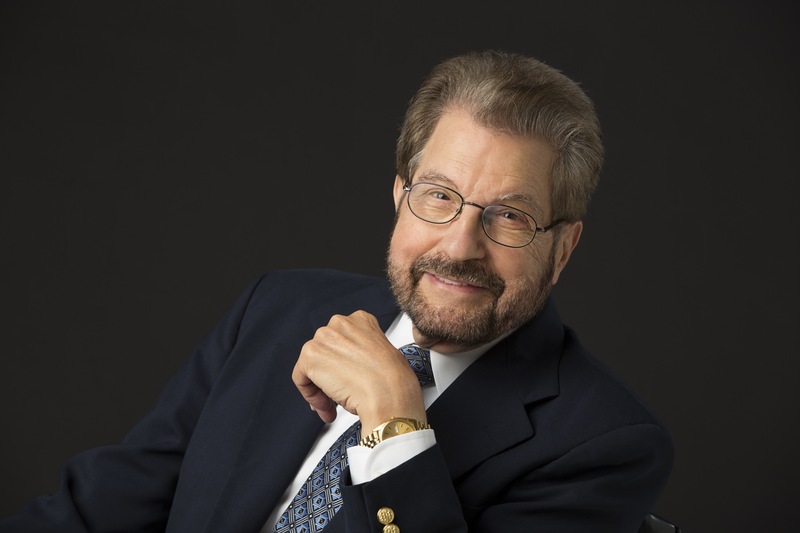 Magarian will be in Oxford this weekend for the 50th reunion of School of Pharmacy graduate students from 1960 to 1969, as well as to sign copies of his latest book at the Summit Lodge Bar (formerly the Burgundy Room), Saturday, Oct. 8 at 7 p.m. The School of Pharmacy spoke with Magarian in advance of the book signing. University of Mississippi School of Pharmacy: Tell us about your journey from the Ole Miss School of Pharmacy to writing novels. Robert Magarian: There is a huge gap from the time I graduated from the School of Pharmacy in January 1960 to when I became a writer in 1995. In the interim, I worked in a pharmacy for 18 months and returned to Ole Miss to graduate school in medicinal chemistry under Dr. Lewis Nobles in fall of 1961. I received my Ph.D. in July 1966. Then so much happened: postdoc at Kansas University, teaching at St. Louis College of Pharmacy and finally joining the faculty at the University of Oklahoma College of Pharmacy in 1970. I didn’t start writing until 1995. Ideas started to come to me. At first, I didn’t know what to do with them. I realized I wanted to write a story, but I didn’t know how to begin. I took courses in fiction writing and attended conferences and joined a writers group; I wrote and I wrote. I started out writing what I felt comfortable with ­– medical thrillers for my first two novels, The Watchman and 72 Hours. With 30 years of laboratory experience and being involved in breast cancer research, I pulled from my background to write those first two. I must say that in attempting to write my first novel, I must have written what amounted to three novels until I got The Watchman the way I wanted it. This was due to a lack of experience. The more I wrote, the better I felt and, hopefully, the better I became. Some pundits say you have to write a million words before you become comfortable writing. I believe that to be true, at least for me. UMSOP: What drew you to write mystery thrillers? RM: I always loved reading mystery novels, particularly the mystery/thriller detective novels. After I finished my second novel, 72 Hours, I wanted to change genre. I didn’t want to become another Robin Cook. I felt it was time to write about things I didn’t know about. That way, I could research new areas. I get my ideas from magazines, newspapers, the TV, overhearing conversations in restaurants and the internet. 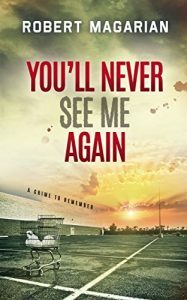 I was inspired to write You’ll Never See Me Again, A Crime to Remember based on the evidence of a true crime story that happened in Atlanta. UMSOP: Your books deal with molecular biology, microbes and cures for cancers. Can you talk about how your background in pharmacy influenced your writing? RM: I pulled from everything I learned at Ole Miss. In my pre-med B.A. degree from Ole Miss in 1956, I took courses in biology, embryology, comparative anatomy and other biological courses besides my major in chemistry. In pharmacy, I had anatomy and physiology and all the important courses, which added to my repertoire of scientific courses. In graduate school, besides the additional courses in biology and chemistry, I increased my skills in the laboratory. My research project dealt with hormonal therapy, which is the reason I moved into the breast cancer area after joining the faculty at Oklahoma. I pulled on this knowledge to write the first two novels. What I didn’t know, I researched. Even though authors write fiction, they still have to do research and try to be accurate when necessary. Because of my training, I enjoy doing research for my novels. UMSOP: Can you talk about You’ll Never See Me Again, A Crime to Remember and the experience of writing it? RM: I was inspired to write this novel while I surfed the internet, looking for ideas in the mystery/thriller genre. I came across the Mary Shotwell Little case reported in several articles in Atlanta Journal-Constitution as the “Missing Bride” case. Six weeks after Mary is married, she leaves work one evening and vanishes. She doesn’t show up for work the next morning, yet her car mysteriously appears in its parking spot at noon with items of women’s underwear neatly folded on the front seat and smears of blood on the steering wheel. This took place in 1965. It has been opened several times as a cold case, but she’s never been found. Reading these articles about this pleasant-faced, warm-hearted, loyal, punctual and well-liked young brunette touched me so that I knew I had to write this story in a fictional way to keep her memory alive. While some events in the novel are similar to those reported in the Mary Shotwell Little case, I remind the reader that this is strictly a work of fiction and in no way am I suggesting the events in You’ll Never See Me Again, A Crime to Remember solve the “Missing Bride” case. Writing this novel was a challenge, but an enjoyable one. I paged through the evidence in the case and began putting the evidence together and worked to solve the crime. I read James Frey’s book How to Write a Damn Good Mystery to get in the swing of things. One important thing I learned from his book is that the villain is the most important character in a mystery novel. I thought it was the detective. Being a novice in this genre, I worked six months developing my characters and three months plotting this novel before I wrote one word. I learned one important lesson from James Patterson, who taught me to keep an eye on the story and not to worry about the sentence when plotting. It was refreshing to learn that he, too, spends three months plotting his novels. I had to research forensics and sought the help of two detectives who became my guides in presenting step-by-step law enforcement that occurs when a major crime is committed. They taught me about handguns, police work and how detectives think and interact with each other, officers and witnesses. Thinking like a detective is something I had to work on. 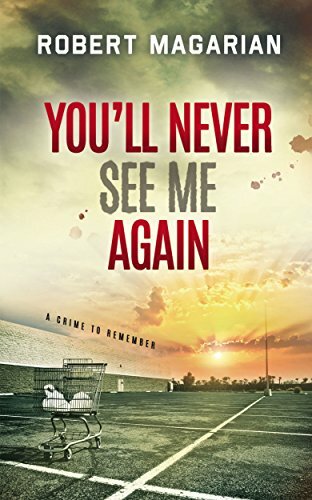 UMSOP: Your next novel will be a sequel to You’ll Never See Me Again. Where will you take these characters? RM: The setting is still Atlanta. The detectives, cowboy detective Noah McGraw and his partner, Holly Roark, are the best in the city, if not in the East. I am putting them through a severe test to challenge their investigative skills. They’ll be matching wits with a forensic supervisor in the Atlanta Scientific Investigative Division lab who is a psychopathic killer. He’s in charge of receiving all collected evidence coming into the lab from Atlanta PD crime scenes, including his own, before he distributes the evidence to his staff for analysis. The odds are stacked against McGraw and Roark. UMSOP: How do you feel about coming back to Oxford for a book signing and your graduate school reunion? RM: I’m overjoyed about returning for my book signing and to see old friends from my graduate school days. Our time together will be very rewarding. I’m looking forward to it. I feel honored to book sign in Oxford with its history of great writers. (I met William Faulkner once when walking the Square one evening.) I had a book signing at Square Books in 2006 for my first novel, The Watchman. I am pleased that Jim Bulian is allowing me to sign my third novel in his Summit Lodge. I visited there over a year ago when it was still the Burgundy Room. I love Oxford and Ole Miss. Since I left in 1966, I’ve made a special effort to get back on campus about every two years. Oxford is our second home. Our family lived there for 10 years, and we have close friends in Oxford. Two of our children were born here. I’ve witnessed many changes in the town since I first got to know it in 1954. Love the place. Robert Magarian will sign copies of his book on Saturday, Oct. 8 starting at 7 p.m. at the Summit Lodge Bar.